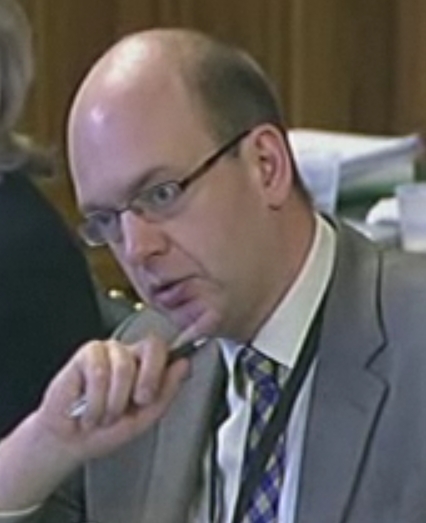 ← Blog: Are you saying, Home Secretary, that Strasbourg is now supreme? Of course, I am used to puns on my name, or worse. Indeed, I probably have it easy compared to my family, who are doctors, and particularly my father, who graduated from medical school with a Dr Butcher, a Dr Carver, a Dr Coffin and a Dr De’Ath. However, I am a lawyer, so was less amused by Mrs May’s suggestion that I was inciting law-breaking. This was not my first altercation with her. It is my job, as a member of the Home Affairs Select Committee, to hold the Home Secretary to account and scrutinise her department’s work. Even under the omnipresent chairmanship of Keith Vaz, this is not always an easy task. The first challenge is to get the Home Secretary to appear. Mrs May last offered us a date several weeks ahead, saying it was the first she could possibly accommodate. We only persuaded her to bring it forward to last week when we explained that the later date would mean a joint appearance with London Mayor Boris Johnson. Select committees are not easy for all Ministers as, unlike in the chamber, MPs can pursue follow-up questions. Members are now elected, so we can hold our ground with Ministers. Under the old system insufficiently deferential MPs could be booted off committees by the Whips. MPs and Ministers are also face-to-face and pretty much around a table. Some commentators suggest that the Home Secretary has a particular Select Committee style, and will sometimes ‘adopt a Medusa-like countenance’ or, worse, deploy her ‘death stare’. The second challenge is getting information out of her, as her stratagems for withholding it are legion. The staple stand-by, of course, is ‘security’. However, another technique of the Home Secretary is to promise information but not provide it, as she did with me regarding reports written by Brodie Clark, the Head of the UK Border Force, on a crucial and hotly disputed pilot programme to relax immigration controls. Mrs May lost Nick Herbert, her high-profile Policing Minister, shortly before the first Police and Crime Commissioner elections, and her Permanent Secretary shortly afterwards. At the beginning of her tenure there were reports that an official was suspended after allegedly criticising her in private. However, the fall-out over Mr Clark has probably been her highest-profile personal spat, although Brian Moore, whom she had hailed as his successor, was also quickly out the door, just after telling the Select Committee that he wanted to stay. The Home Secretary’s allegation against Mr Clark was that he relaxed border controls on an unauthorised and clandestine basis. Having identified him, she assured the Commons that officials responsible would be ‘punished’. Unfortunately for Mrs May, an investigation later found that Mr Clark had referred to his relaxation of controls, both in a presentation to the UK Border Agency board, and in a number of reports written for her and others. It was in this context that I received perhaps the most tetchy response from the Home Secretary – although there have been quite a few – when I asked her if she could confirm whether Mr Clark’s ‘punishment’ had stretched to six figures. Here she fell back on her least reliable defence – legal advice – and simply refused to answer my question, saying that her lawyers had advised it would be unlawful to give the information. Given that her lawyers in another context were unable to count up a number of days correctly, it will not surprise readers to learn that the law actually required her to provide the information. So Mrs May later let it slip out, as a footnote to a table of accounts in a rather dense annual report, that Mr Clark received a £225,000 pay-off. 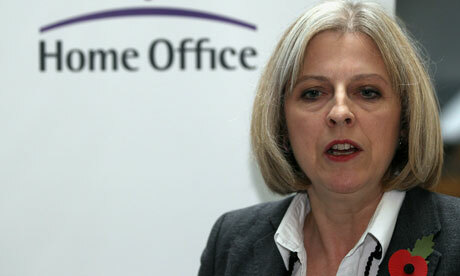 Overall I believe that the Home Secretary is doing a good job. Crime is down and, with the support of able Immigration Ministers, she is delivering on our promise to cut net immigration from hundreds of thousands to just tens of thousands a year. 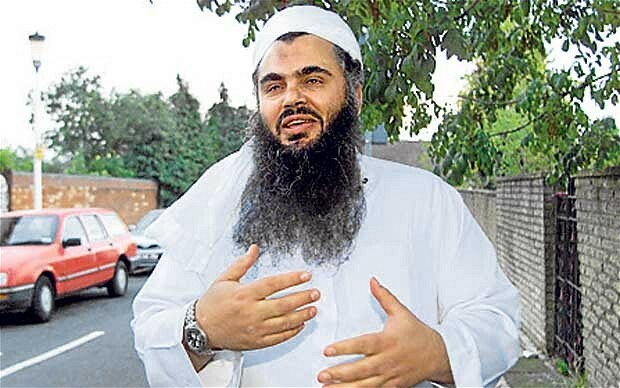 However, on the issue of Abu Qatada I believe that she has got the law wrong. Some MPs and many more voters support the ‘just put him on a plane to Jordan’ option. I don’t. I believe that if we cannot do what we want within the law, then we always have the option of changing the law. However, neither do I support the Home Secretary’s approach, which I have termed ‘a craven surrender to Strasbourg’ and which has left us looking impotent and unable to protect our citizens. Instead, I support ‘the Judge approach’. Our top judge, the Lord Chief Justice, like me, has a fantastic name for his role – his being Lord Judge. So, instead of just complaining about Strasbourg moving the goalposts, the Home Secretary should follow the Judge approach and do something about it. She should ask our courts, and ultimately now the Supreme Court, to move the goalposts back to where they should be, and where they were when our own highest court last considered the matter, and said Qatada could be deported. Extraordinarily, the Home Secretary has stubbornly set her face against this approach, writing to me on December 3, 2012, to say that ‘the strategy in the case has been carefully considered at every stage by Government lawyers and leading counsel’. Given their record, that does not inspire confidence. So, the Home Secretary has decided to ignore our Lord Chief Justice and instead submit to Strasbourg. Not only does this mean that Abu Qatada is still here, to our peril and at our expense, but a precedent is set for yet another area of national life. We appear yet again to have conceded sovereignty to Europe. The Home Secretary has one last chance to put that right with her appeal to the Supreme Court. I hope the Prime Minister will ensure she takes it. I have one last piece of friendly advice to Mrs May: in future I suggest she leaves the jokes to Boris Johnson, who does them so much better. This entry was posted in Home Affairs Select Committee and tagged conservatives, Europe, Home Office, human-rights, Kent, mark reckless, Medway, politics, rochester and strood. Bookmark the permalink.